Saudi Arabia and the United Arab Emirates (UAE) have given U.S.-made weapons to al-Qaida-linked terrorists, and other militias and groups fighting in Yemen, violating their arms agreements made with Washington, a report by CNN said. The CNN investigation found that U.S.-manufactured arms have even made it to Iran-backed groups, a jarring conflict of interests for Washington, which has thrown support behind Saudi Arabia in an attempt to counter Iran's influence in the region. 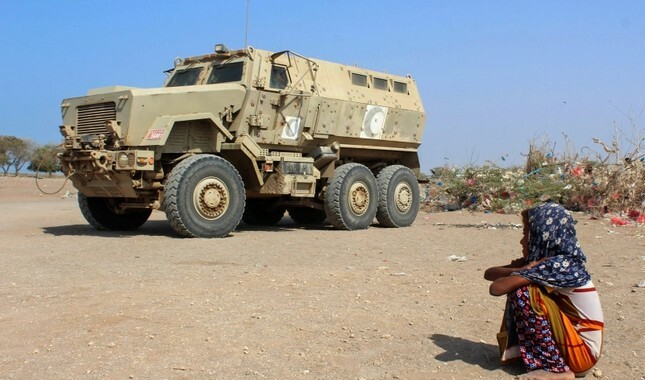 Saudi Arabia, which leads the coalition in Yemen, and its main partner the UAE, have used U.S. weapons to buy the loyalties of tribes and militant groups and attempt to control the complicated political landscape in Yemen, commanders of the group and analysts told CNN. The U.S. is, by far, the largest supplier of weapons to Saudi Arabia and the UAE, and its support to the coalition has been crucial to the war in Yemen. According to the U.S. Department of Defense, transferring military equipment to third parties breaks the terms of the Saudi-led coalition's arms deals with the U.S. – which is, by far, the largest supplier of weapons to Saudi Arabia and the UAE. Following the report, a U.S. defense official confirmed that an investigation into the issue was ongoing. The Abu Abbas brigade, a militant group with links to al-Qaida in the Arabian Peninsula (AQAP), is known to use U.S.-made Oshkosh armored vehicles, which they showed off on city streets in 2015. The group's founder, Abu Abbas, was listed as a terrorist by the U.S. in 2017, but the militia still holds Saudi coalition support. The group even joined the coalition-backed 35th Brigade of the Yemeni Army. Yemen has been embroiled in a civil war pitting the Saudi-led coalition against the Iran-backed Houthis since March 2015. The coalition aims to restore the government of self-exiled President Abed Rabbo Mansour Hadi. Civilians have borne the brunt of the conflict. The last available U.N. figure for the civilian death toll was published in 2016 and stood at more than 10,000. The Armed Conflict Location & Event Data Project, which tracks violence in Yemen, puts it at around 57,000 people. The war has damaged Yemen's infrastructure, crippled its health system and pushed the Arab world's poorest country to the brink of famine. And, it has brought weapons – heat-seeking missiles, artillery, guns, anti-tank missiles and armored vehicles, the CNN report said. Arms markets – though technically illegal – sell hand grenades, pistols and U.S. assault rifles on special order in the southwest city of Hodeida. Previous probes have revealed that U.S.-manufactured weapons have been used in deadly attacks by the Saudi coalition that killed scores of civilians, including many children. As negative press on the war in Yemen picks up, U.S. public will for coalition support has dwindled. In December, the Senate approved a resolution to end U.S. military support to Riyadh. Last week, U.S. officials resumed efforts to pass the resolution.